As the announcement was made today that NSW high schools will teach students about domestic violence, Ms Peters spoke about the high demand from schools for NAPCAN’s Love Bites program – a relationship violence and sexual assault prevention workshop. 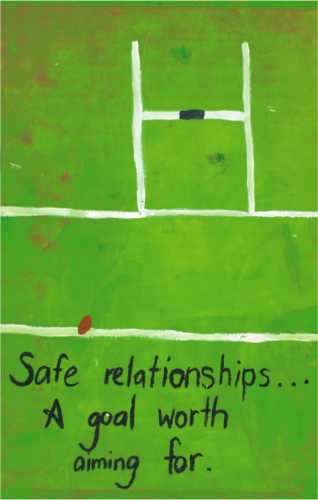 The interactive program targets year nine and 10 school students, and teaches them about respectful relationships and consent. The manager of Love Bites said that the school’s curriculum, needs to go beyond recognising domestic violence, but to focus on young people’s relationships, be strengths based and facilitators need to to be skilled in this area. The state education reforms were sparked by a letter written to the NSW government by a 14-year-old girl, weeks after the suicide death of her mother, who asked them to help educate children about domestic violence and how to seek help. Listen to the ABC 702 interview.